This antenna is no longer available for purchase. 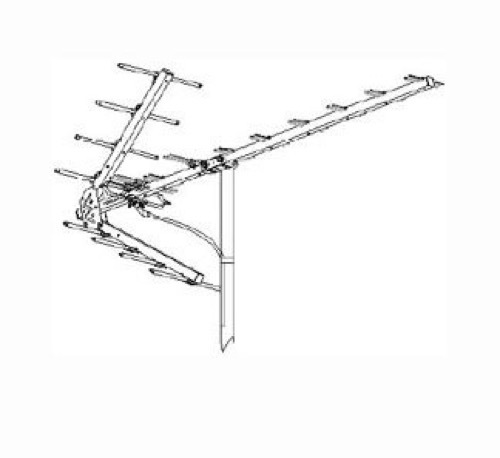 It has been replaced by the Winegard HD-8800 HDTV Antenna!!!! Great UHF reception is accomplished by precise director spacing with efficient corner reflector system. Weak UHF signals are captured and reflected with minimal loss to the driven element for increased uniform gain on all UHF frequencies on channels 14-69. This antenna features a built-in 300 ohm VHF coupling block. Matching 300 ohm to 75 ohm transformer is included. Die cut impedance correlates for strong compact antenna. Wrap around mast clamps for locking jaws. High tensile aluminum elements which is not affected by wind and ice loading. Automatic hardware locks in place unfolds in seconds.